Our mission this summer is to inspire you and others to get up, get outside and get active – to enjoy the great outdoors, whilst also looking to preserve the natural environment that we all love. By teaming up with 3 key athletes, the #DoMoreWithNikwax challenge is well underway, with the combined total of activities to be: cycle 7,000km, hike 7,000m and camp in 10 countries! Nikwax are also supporting the fantastic work of EOCA (European Outdoor Conservation Association) with our campaign, because without their efforts, we would have lost some beautiful and endangered natural habitats across the world. EOCA have recently reached success with their project to plant 2 million trees – a way they chose to celebrate being 10 years old and having given €2 million to conservation projects! Such work can make a big difference and we will continue to support EOCA, but they could use your support too. You can help make a difference by pledging to EOCA’s conservation efforts HERE. Read on to hear how the first leg of our challenge went and let it entice you to get out on your bike, with your tent, or just on foot this summer – you have every reason to Do More! Week 1 with Markus Stitz, the record-holder as the first person to ride a backpacking single speed bike around the world! 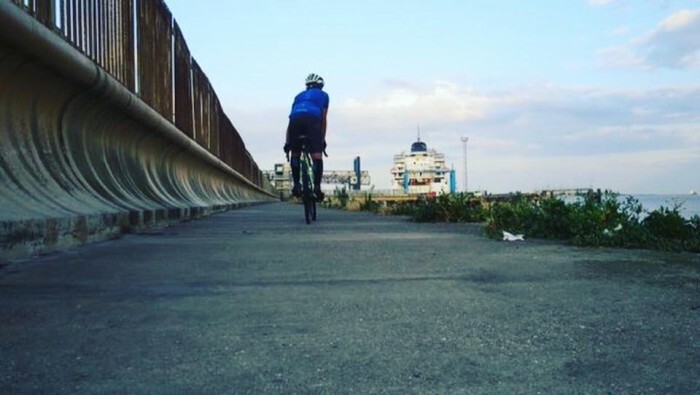 We commenced Markus’ challenge in Dover, south England at the break of dawn, with Markus aiming to complete a trip all the way to Leicester – which is no mean feat! After stopping at the headquarters of Nikwax in East Sussex, to meet CEO Nick Brown and be cheered on by the Nikwax team, Markus carried on his way. 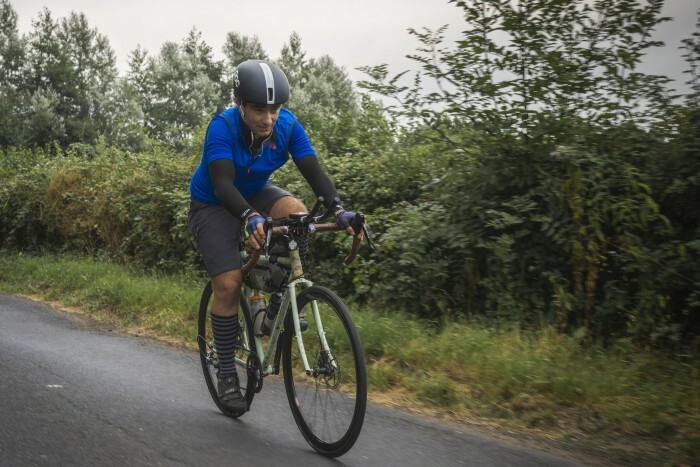 After covering 351.5km and some mega climbs along the way, he reached Leicester in the East Midlands. 100km in and with a quick break in Derbyshire, England, Markus continued on route to his destination of the day – Gretna Green, Scotland. Within just a day and a half, Markus was already over the 500km distance – just awe-inspiring. As evening set in, Markus reached Gretna Green with 400km under his belt for day two. That was a fantastic 750km in total since setting off at 4.30am the previous day! 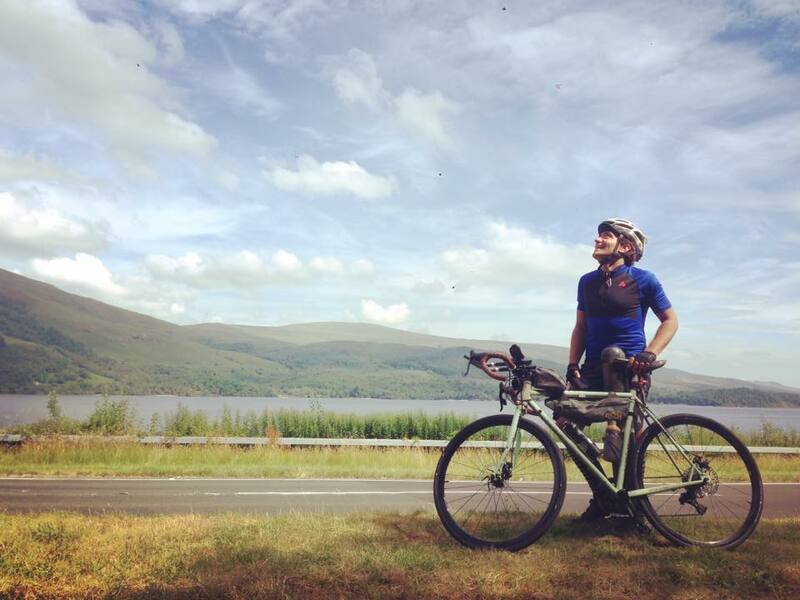 Staying in Scotland, Markus headed off on his bike again towards Loch Lomond & the Trossachs National Park. Scotland is known for having quite variable weather, so should you ever decide to try cycling around here then we recommend you ensure your kit is up to scratch. Cycling can be a warming activity to say the least, so you would want base layers that will regulate your body temperature to prevent you from either overheating from sweat, or feeling too cold. Nikwax BaseFresh is the Nikwax aftercare product we would recommend for conditioning your base layers – it’s a high performance deodorising conditioner for all active sports clothing that you just use in your normal wash. BaseFresh will improve the wicking properties of your base layers, so that the sweat spreads and dries quickly. Its formula keeps nasty bacteria at bay, keeping you smelling fresh whilst you put power to the pedal! Day 3 finished with an overall cycling distance of 1,042km – tremendous! You may not wish to cycle quite as far as Markus, but think what you could achieve locally to where you live and how invigorated you would feel from the activity! In the town of Fort William, Scotland, it was time to take a break from cycling and instead put on the hiking boots. However, it was not just any ordinary hike across hillsides that was the plan for the day. No, Markus and the team were to hike up to the summit of Ben Nevis – the highest mountain in the British Isles, standing at 1,345 metres above sea level. 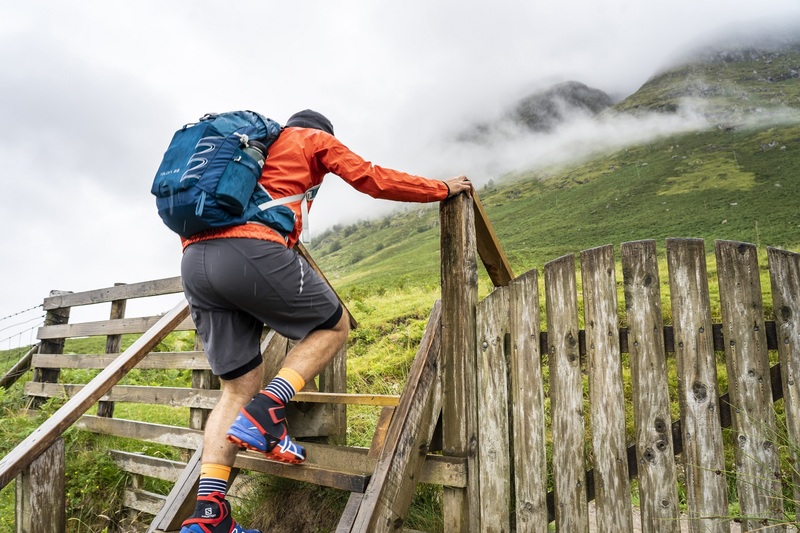 Sturdy, comfortable and supportive walking boots are a must when undertaking a hike such as this, and with weather up a mountain often turning wet, then ideally your footwear would be waterproof and breathable. Such outdoor footwear can be protected with the Nikwax footwear aftercare range, to ensure optimum performance that lets you just keep on walking and enjoying the view rather than worrying about your feet! At the summit of Ben Nevis the mist had rolled in and unfortunately the view was obscured, but it did not dampen the spirits with knowing that the top had been reached. Another big outdoor achievement to be proud of and the walk was exhilarating and fun. It was time to cycle south east across Scotland, passing by Edinburgh and heading towards the coast of Northumbria. To finish off his part of the #DoMoreWithNikwax challenge, Markus cycled on to Hull, East Yorkshire. Markus’ entire challenge ended with him cycling a total of 1,675km and hiking 1,345m, which was fantastic. As well as a bit of fun taking part in the Nikwax floating sleeping bag – a means to demonstrate the fantastic power of Nikwax Hydrophobic Down, the water resistant down fill which provides great insulation for down filled items such as sleeping bags or down jackets! The first stage of our summer challenge was complete. It was then time for the team to take the ferry over to Rotterdam, Netherlands, where Fredrika Ek, European Adventurer of the Year, would step in for phase 2! Read more about the challenge here. 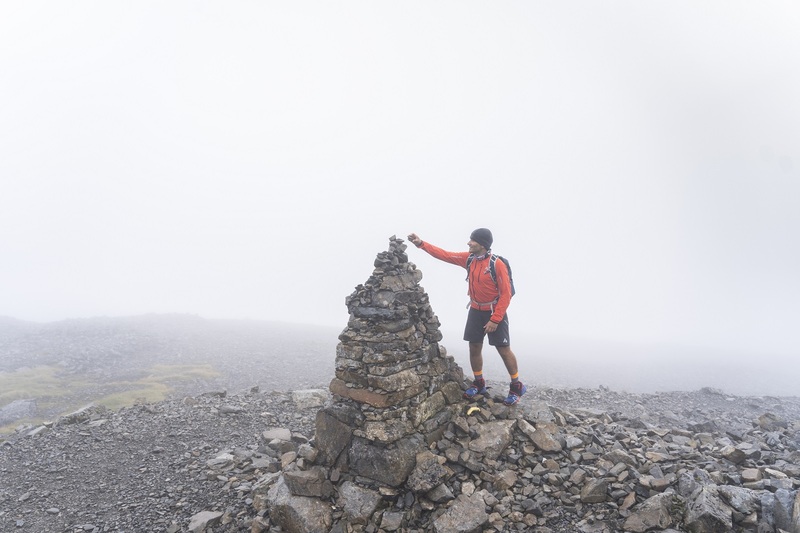 It just goes to show what you can achieve with a bit of motivation and what enjoyment is to be had when getting active outdoors, and we hope this inspires you! This summer, you can get outdoors and enjoy it whatever the weather with Nikwax; we have every aftercare solution you would need to stay dry and comfortable whatever your activity, so there is no excuse! You can find your local retailer here.